Today, five new Stunt Races join the roster of GTA Online: Cunning Stunts, taking you and your appetite for high-flying, daring, stunting action everywhere from the peaks of Mount Chiliad to the shores of Vespucci. And next week, the official launch of the Stunt Race Creator tool will harness the talents of the amazing Creator community to usher in a whole new era of player-made mayhem. Check out a brief overview of this week's new Stunt Races below, and read on for details on three new vehicles, this week's bonuses and more. Mount Chiliad has inspired artists, hippies and death cults for generations, but until now it's offered precious little for the key Los Santos demographic: reckless Super car enthusiasts. All that changes with this towering Stunt Race over the iconic peak of San Andreas. After a long day in the office hoping the IT guy won't check your search history, there's nothing more invigorating than the touch of the ocean breeze and the smell of salt water as it washes over a race track and floods your engine. Stunt Race for Sports cars. Pro tip: bring your bikini bottoms. Sure, 2000cc superbikes weren't designed to spend this much time flying through the air above industrial docklands, but every step of evolutionary progress is tough on the pioneers. Jump-heavy Point to Point Stunt Race. 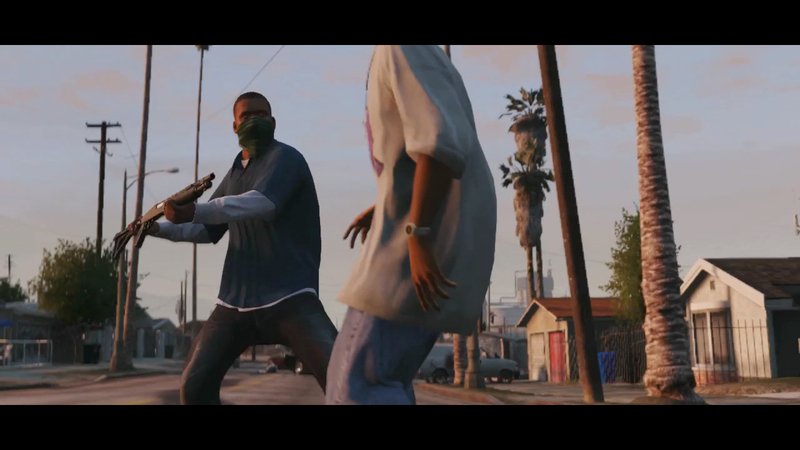 The Los Santos coastline is about so much more than golden sand, contaminated water and steroid abuse. It's also a perfect backdrop for laps of a winding Stunt Race where any mistake will send you and your million dollar Super car to the bottom of the sea. Hey, it beats the Ferris wheel. Who said you have to venture out into the middle of the Pacific in a force ten gale to feel so seasick you want to die? That special inside-out feeling is available right here on this coastal Stunt Race for Bikes. 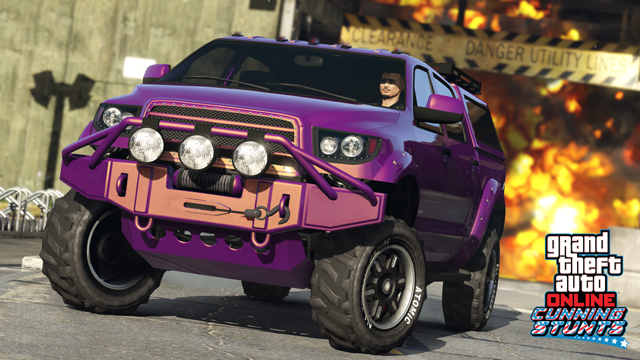 Three new vehicles, the Bravado Sprunk Buffalo, MTL Dune and Vapid Contender, have also been added to GTA Online today. Tackle Stunt Races with Sprunk guzzling pride in the branded livery-clad Buffalo, or dial up your friends at Pegasus to motor through the Blaine County off-road in the MTL Dune. The Contender offers formidable size and balanced suspension to tackle a variety of terrains - an asset for active Executives and VIPs. This weekend's Premium Race is the new "H200" Stunt Race for Sports class cars. Ante up and try to take down all comers in a mad dash for that GTA$100,000 top prize. From Wednesday July 27th through Friday July 29th, ALL Stunts Series Races will dish out Double GTA$ and RP. In addition to being accessible from the pink Stunt Series blips on the map, you can jump into the Stunt Series directly right on the GTAV loading screen. High rollers, keep an eye out for a Premium Race this weekend, where you can ante up and try to take down all comers in a mad dash for that GTA$100,000 top prize. You can add to your racing wardrobe this week with the flamboyant Gold Jumpsuit, available just by logging in to GTA Online at any point between now and Monday, August 1st. Add some color to your fleet with 20% off all vehicle Resprays and Neons. And for those who like to grab sustained air-based transportation, the Buckingham Nimbus Jet and Volatus helicopter are both 30% off at Elitás Travel. Even More Stunt Races and Vehicles, Bonuses - What the title says. Additional races, vehicles, and more bonuses added to the Cunning Stunts DLC!